ECView Pro NMS scans the network and automatically generates a topology map so the administrator has a complete view of the network in which each device node is clearly represented. ECView Pro NMS offers multi-vendor support, meaning that a large range of tier one vendor switches are automatically recognized, in addition to Edge-Core and SMC switches. Further, object attributes are automatically discovered and can be easily changed. By right-clicking on an icon, users can provision and manage various network devices through CLI, Telnet, MIB browser, Web interface, or Edge-Core's own Basic View. In addition, certain SNMP-enabled Wi-Fi access points, such as Edge-Core's own EAP8518 for example, can be managed and provisioned through ECView Pro, making unified wired/wireless access a reality at last. 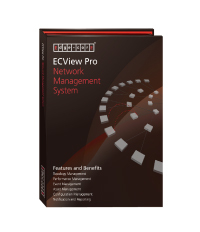 ECView Pro NMS ensures that all network elements are provisioned with the latest software. It maintains control of software releases and perfoms on-demand or scheduled upgrades to Edge-Core, SMC, and third-party network devices. 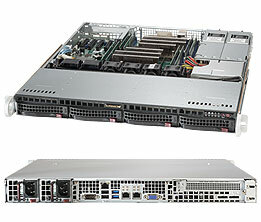 With its powerful interface, provisioning capabilities, robust auto-discovery, scalable event-driven architecture, flexible configuration, and low-cost deployment, ECView Pro NMS offers enterprise customers powerful tools for the management of Edge-Core and third-party switches.